Oh, Desiam. A favourite spot in Whitby. I've been visiting this place for 5 years or so and it is excellent and very consistent. It is a family owned business and they are actually from Thailand. How much more authentic can you get?? Where do I start? So many favourites! I guess I will start with the spring rolls. 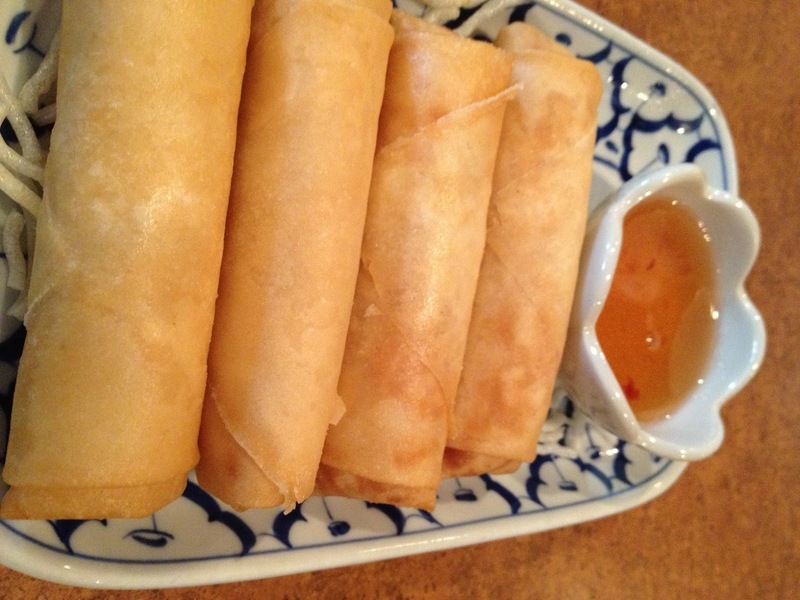 Do not confuse these Thai spring rolls with Chinese spring rolls. 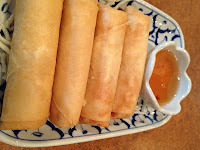 They are not the same, Thai spring rolls are BETTER. You get 4 piping hot spring rolls and plum sauce. I always find that whenever I order an appetizer, the food comes before I'm done. The rolls are so hot, you can't eat them right away. I like to avoid the burnt tongue and hyper ventilating to cool the food currently in my mouth. These are a crowd favourite! Now for the entrees. I have 2 words for you: Sesame Beef. That's it. That's all you need to know. 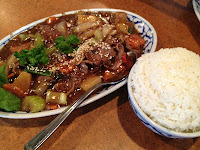 Oh and get rice to soak up the addicting sauce that the beef and veggies are drenched in. Any guy I know that's been to Desiam, ALWAYS has this. It's fantastic. This is the restaurant that I benchmark Pad Thai. 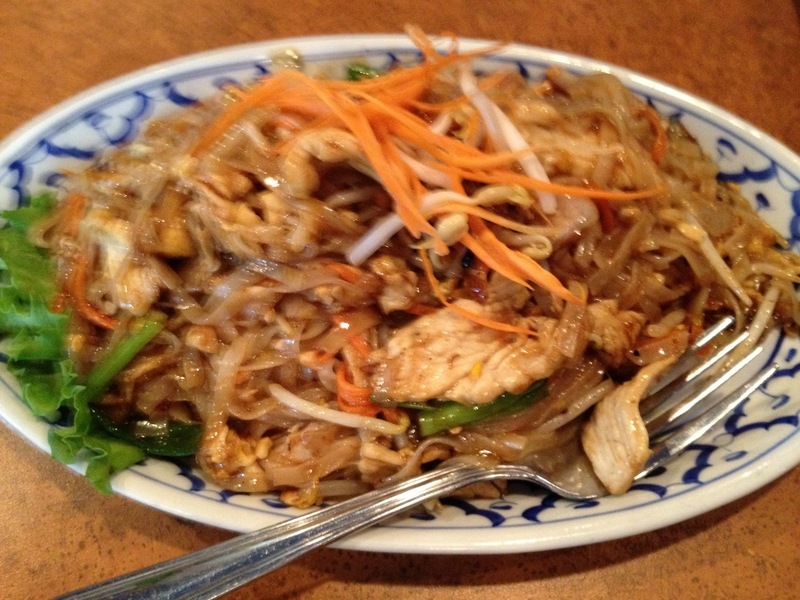 The Pad Thai here is so flavourful and sweet that I cannot resist. No matter what you get in this dish(chicken, shrimp, etc), there is always lots. 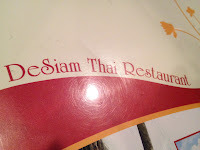 So, if when I'm unhappy with Pad Thai I receive at other establishments, I fully blame Desiam for making it so damn good, I'm ruined for any other! Ok, there was ONE time that the food wasn't as good as it always was. The server overheard us saying that it didn't taste the same. She came over and inquired. She confessed they had a brand new chef and gave us 50% off our bill. They were aware of a possible issue and addressed it. I really appreciate that since we were clearly repeat customers. Great customer service! Get the damn spring rolls! !